Qamea Island, Fiji. 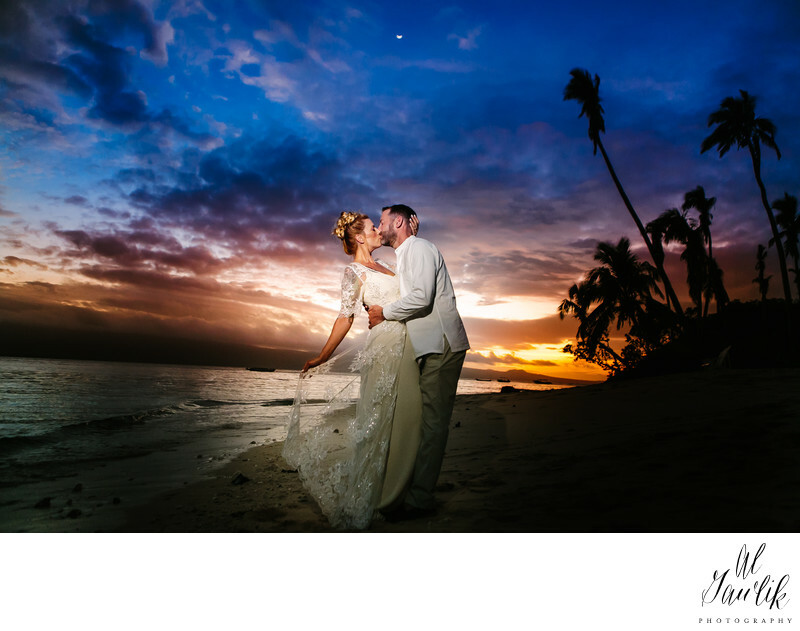 Kristin and Ross traveled to this gorgeous Island to get married. An intimate beach setting surrounded by close friends, but the image isolates Kristin and Ross as if they are the only two people in the world... I used the Canon 24-70mm at 2.8 with off camera flash and Magmod to cast a magic light spell over the couple.